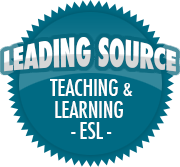 Supporting English Language Learners | So, You Think You Can Teach ESL? After reading a timely post by Cult of Pedagogy‘s Jennifer Gonzalez entitled “12 Ways to Support English Learners in the Mainstream Classroom,” I wanted to learn more about how the Ottawa Catholic School Board (OCSB) welcomes and supports English Language Learners to their schools. The OCSB’s website is excellent, and they have links to various videos that would be helpful for a new family to Ottawa whose first language is not English. While I was trying to put myself in the shoes of a newcomer to Ottawa, I thought that it might be helpful for newcomer families to have a visual source of information as well.